Beard Transplant | London Clinic, Book a Beard Transplant Consultation! Almost 50% of males find it difficult to grow a full, healthy beard or sideburns with even growth and no patchy areas. Loss of facial hair can be immediately apparent and is hard to disguise, leading to even the smartest of men appearing somewhat ungroomed. The donor area is prepared by washing and shaving an area from the side or back of the head normally ear to ear. 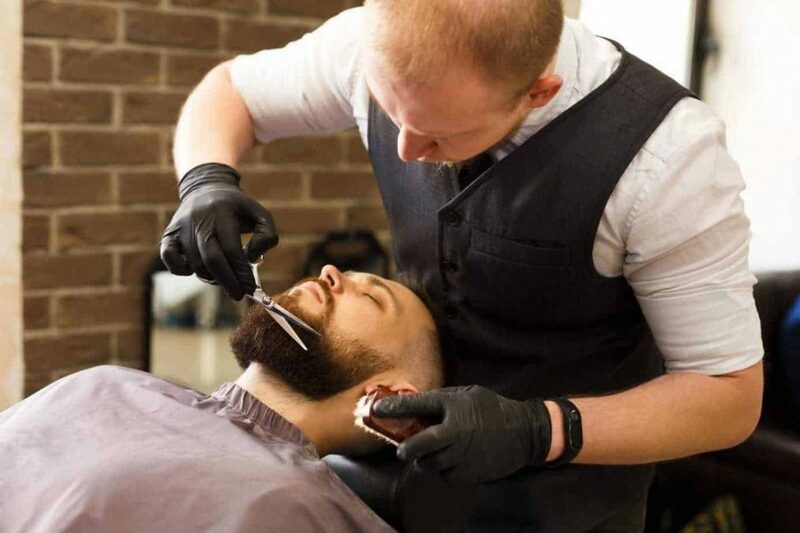 A local anaesthetic is applied to reduce discomfort whilst the beard transplant surgeon uses a state of the art electronic punch to extract the individual hair grafts. An antiseptic dressing is applied to the donor area which can be removed the following day. 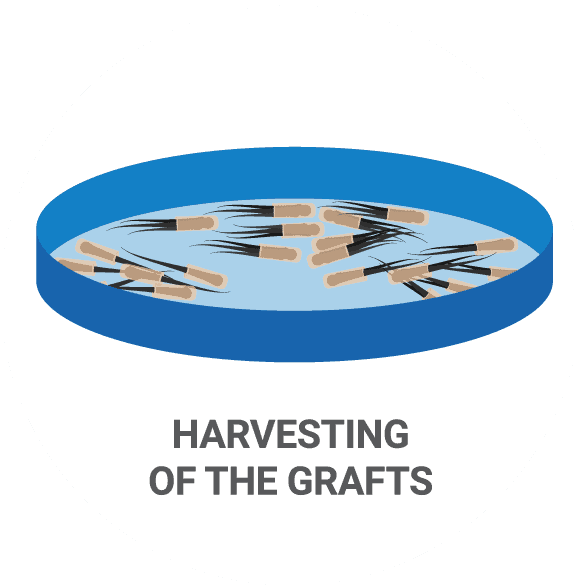 The grafts are extracted using a 0.9mm electronic punch and categorised into grafts containing one, two or three hairs. Once selected by Wimpole’s technicians, the hairs are then prepared for transplantation to the new hairline area. The hair extraction process process typically takes between 1 to 3 hours depending on the number of grafts to be extracted. The new boundary for your beard is marked before small incisions are made shortly before the graft commences. The hair grafts are placed evenly into the small openings to match your existing beard pattern, angle and desired density. A typical beard placement procedure can take between 1 to 3 hours and the results will be instantly noticeable. 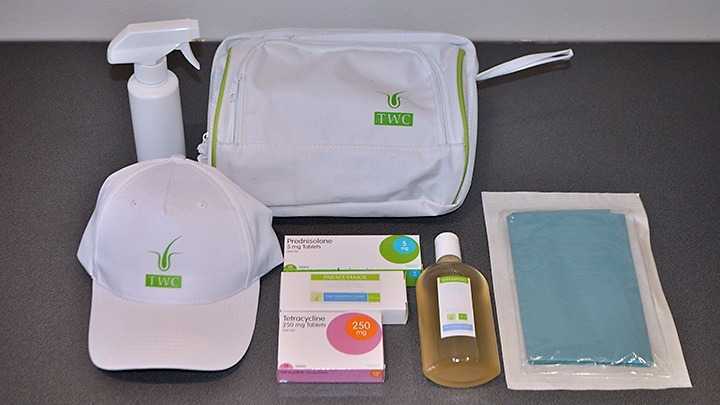 An aftercare pack is provided that contains special shampoos and information on how to care for your transplanted hair. You’ll have a hair examination after 1 month to check the progress of your hair transplant. This will be followed up with a complimentary high-frequency laser treatment session that will promote hair growth. You’ll also receive advice on how best to care for your new hair. 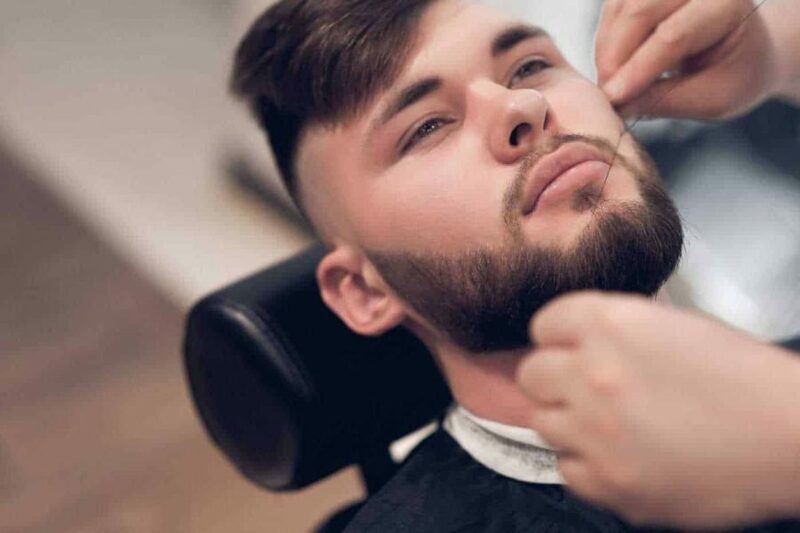 The beard restoration procedure starts with the extraction of the donated hair follicles; this is carried out using either FUE (Follicular Unit Excision) or FUT (follicular unit transplant). FUE works by directly taking the donor follicles from the head, a tiny semi-circular shallow cut is made which allows each follicle to be removed directly from the head. This is then grafted straight onto the beard area. 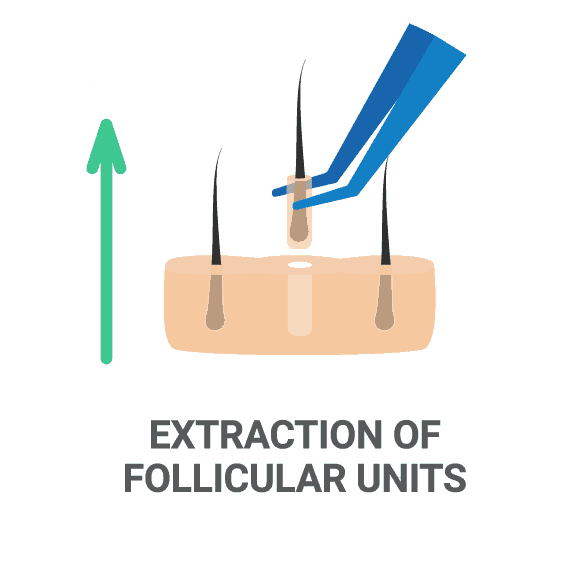 FUT is a innovative technology which requires the hair follicles to be carefully collected and then working under a microscope many tiny, natural-looking grafts are created ready for implantation. 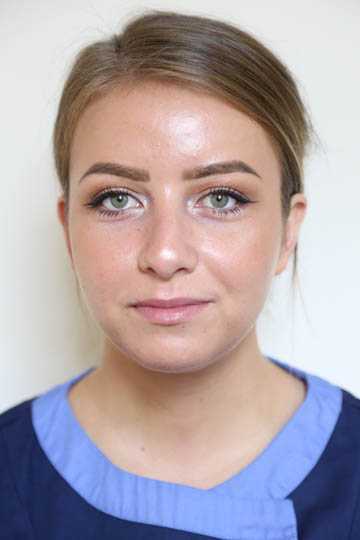 With both FUE and FUT, scarring to the donor area is kept as slight as possible, giving hair the chance to grow through the scar tissue and ensuring there will be no hair loss in this area. These procedures have been proven to offer excellent results, but finding the treatment that’s right for you will depend on your specific needs and desires. 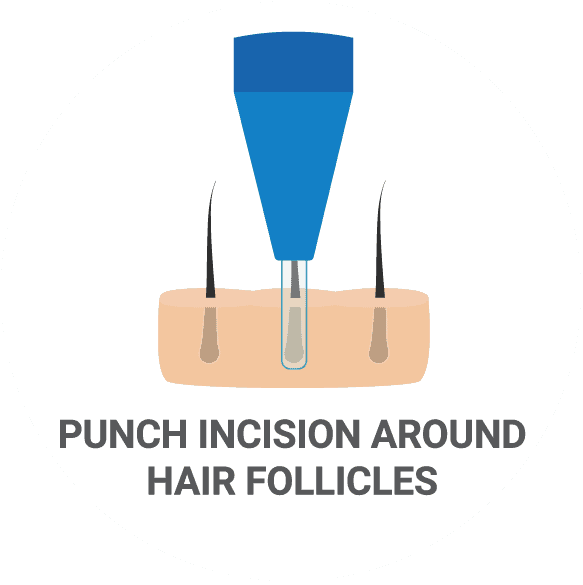 FUE or Follicular Unit Excision is where individual hair grafts are harvested directly from the donor. A circular incision is made in the skin around the upper part of the follicle which is then extracted (pulled) directly from the scalp leaving a small open hole. The advantage of FUE is that it leaves no linear scar. FUE is reasonably pain free and has very rapid recovery. Professional sportsmen generally have this as it allows them to quickly return to their training regime.UE or Follicular Unit Excision is where individual hair grafts are harvested directly from the donor. A circular incision is made in the skin around the upper part of the follicle which is then extracted (pulled) directly from the scalp leaving a small open hole. The advantage of FUE is that it leaves no linear scar. FUE is reasonably pain free and has very rapid recovery. Professional sportsmen generally have this as it allows them to quickly return to their training regime. Is beard transplant surgery painful? No. The procedure is performed under local anaesthetic and mild sedation. This means that both the donor and recipient sites are totally desensitised. You will experience a discomfort when the anaesthetic is initially applied. Surprisingly patients feel very little discomfort and can watch TV, listen to music or chat during the procedure. Some patients experience some discomfort 1-3 days after the surgery which is easily controlled with mild pain relief such as Paracetamol. Yes. Hair is carefully and strategically placed with microscopically dissected follicular units (the gold standard of individual and naturally occurring groups of 1-4 hairs). The gold standard yields the highest number of transplanted hairs in such a fashion that creates the most pleasing and natural looking hair. It is impossible for those who do not know to detect transplanted hair from your existing or natural hair. Within the first few weeks following a transplant most of the newly transplanted hair will fall out. The hair then enters a resting phase. The new hair will begin to grow some 6-12 weeks after. At six months it will be 1-2 cm long but will continue to grow up to 12 months following your transplant. It takes at least 9-12 to fully mature and to see the full results of your transplant. Will I need time off work after my transplant? This depends on your work and your choice of FUE. It also depends on your type of work. If you don’t have a physical or strenuous job, medically you can generally go back to work after just a couple of days, otherwise it is best to take 7-10 days. Is there any risks or side effects to surgery? Very few. As hair is only being moved from one area of the head to another, it is a very safe, minor cosmetic procedure. There are no medical risks associated with the surgery. You will answer a medical questionnaire at consultation and full disclosure is required.Very few. As hair is only being moved from one area of the head to another, it is a very safe, minor cosmetic procedure. There are no medical risks associated with the surgery. You will answer a medical questionnaire at consultation and full disclosure is required. Can I have my beard, side burns or goatee replaced? Yes. If you are missing patches of facial hair, a transplant to a man’s face will give you back a full, thick beard, sideburns, moustache or goatee. The principles are the same as a regular hair transplant to your scalp. After a beard procedure, you will be able to shave and style your facial hair however you wish. The number of grafts can range from a few hundred to a few thousand. 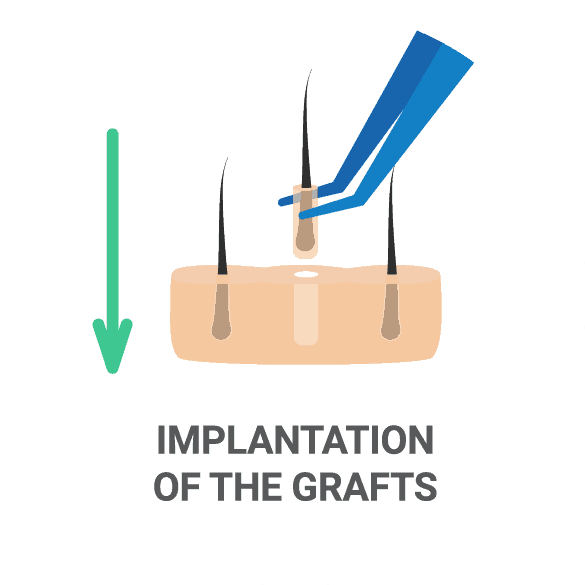 To provide a natural appearance, the hairs are transplanted as individual (and sometimes two hair) grafts. Great care is taken to assure natural growth and appearance including the careful placement of the grafts at the exact angle and direction of typical growth. Once placed, the microscopically dissected grafts of a beard transplant are permanent. The procedure is essentially painless as is the recovery period. For the first 5 days after the procedure, care is needed to keep the transplanted area absolutely dry. By the second day you can resume non strenuous activities. What should I expect at consultation? During your initial consultation you will be asked about your medical history and your hair and scalp will be examined microscopically. 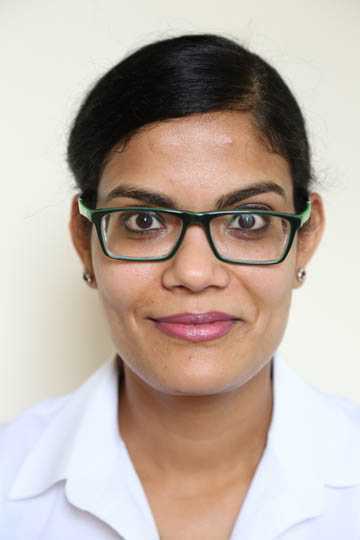 Your hair density will be evaluated and we will look to compare the amount of fine hair to thick ones; we assess the degree of miniaturisation of your hair strands caused by shrinking hair follicles and the diminishing of each hair’s diameter and length. You will be advised on the best way to achieve the required end results and final look you that you would like to achieve. You will be given a full explanation of the entire hair transplant procedure, including any associated risks. There will be time to answer any questions or queries you may have and photographs will be taken. It is advised that you bring a family member / friend or partner to your consultation as they can give a useful and added perspective.During your initial consultation you will be asked about your medical history and your hair and scalp will be examined microscopically. Your hair density will be evaluated and we will look to compare the amount of fine hair to thick ones; we assess the degree of miniaturisation of your hair strands caused by shrinking hair follicles and the diminishing of each hair’s diameter and length. You will be advised on the best way to achieve the required end results and final look you that you would like to achieve. You will be given a full explanation of the entire hair transplant procedure, including any associated risks. There will be time to answer any questions or queries you may have and photographs will be taken. It is advised that you bring a family member / friend or partner to your consultation as they can give a useful and added perspective. 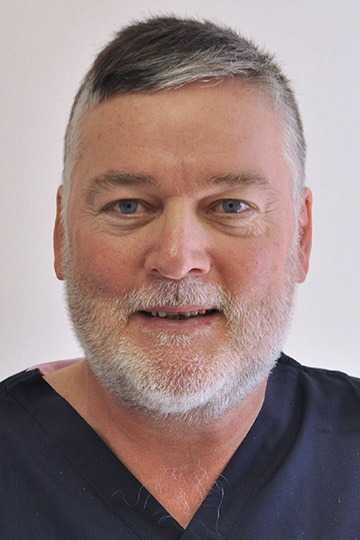 When you have your consultation with the surgeon before hair replacement surgery he will suggest how many grafts are available for your first procedure and any subsequent procedures. This number will be based on your present balding pattern and will take into account the predicted future of hair loss together with how much donor hair is available. An average the session will take 6-10 hours. You should set aside one full day and not make any arrangements on the day of surgery. If you are having a larger session of FUE (over 1500 FUE grafts) then you will need to attend for two consecutive days of surgery. Yes. There is a non-refundable deposit of £500 when you book your surgery. Are these any bandages after the procedure? 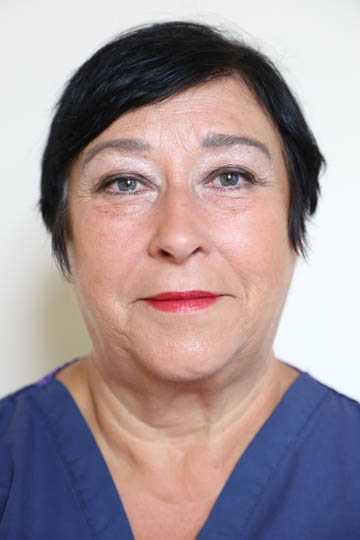 No bandages are worn, full postoperative instructions are given and many patients who live in the London area come back to the clinic for routine washing and after care. 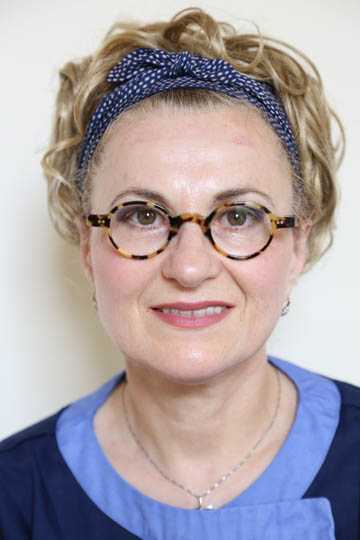 If you have FUE then a small dressing will be applied to the back of the head where the hairs have been taken from.No bandages are worn, full postoperative instructions are given and many patients who live in the London area come back to the clinic for routine washing and after care. If you have FUE then a small dressing will be applied to the back of the head where the hairs have been taken from.